Dennis Williams wins the democratic contest for Wilmington Mayor. Tom Gordon wins the New Castle County Executive race. State election returns. The final Tom Gordon vote total was 16,183 to Paul Clark’s 11,647 in the democratic contest for New Castle County Executive. There were 4,216 more votes for Chris Bullock than Renee Taschner for New Castle County Council President on the democratic side. Michael Vincent, Samuel Wilson, and Daniel Ayotte all won their GOP County Council contests. There 11,014 votes cast for mayor of Wilmington. 4,244 of them went to Dennis Williams. “First of all, I want to thank Keith Spanarelli for his enthusiasm in this campaign and for his graciousness tonight. While he’s relatively new to the scene here in Delaware, I hope he’ll seek other opportunities to serve our state in the future. 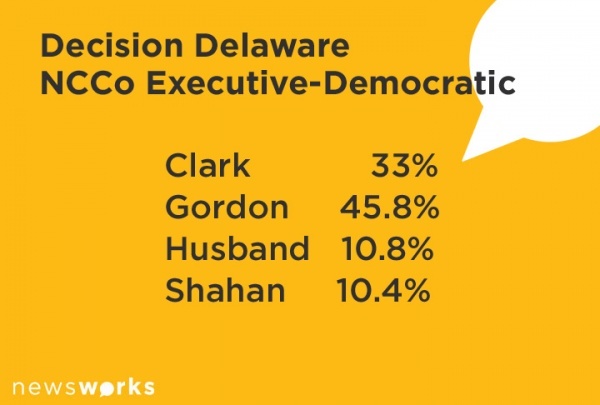 On this perfect late summer day, I also want to thank the thousands upon thousands of Delawareans who went to the polls and cast their votes – especially Delaware Democrats for their strong vote of confidence. Last but certainly not least, I want to thank our campaign’s dedicated volunteers, whose hard work helped make this victory possible and who have helped give me the privilege of serving as our party’s standard bearer in Delaware in November. Harris McDowell received more votes for his District 1 senate seat than his two opponents combined. Robert Marshall’s 2500 votes was a thousand more than his two opponent combined. Andrew Stanton received 2088 votes in the democratic district 6 senate race. Ernesto Lopez received 2163 republican votes. Bryan Townsend got 400 more votes than incumbent Anthony DeLuca for senate district 11. Gary Simpson got 62% of the democratic vote for senate district 18. 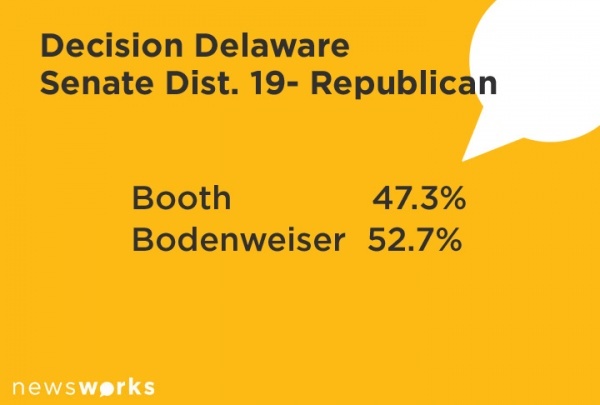 Eric Bodenweiser beat Joe Booth by 181 votes in senate district 19’s republican primary. Charles Potter won over 62% of the vote in the democratic house district 1 race. Stephanie Bolden also won 62% of the vote in her democratic primary for house district 2. Dennis E. Williams beat Sean Matthews by 75 votes in the democratic primary for senate district 10. In house district 11 Lynn Newlin beat David Brown 66 to 33%. Valerie Longhurst wins the democratic nomination by 149 votes in the house district 15 race. Kimberly Williams wins the 19th district house seat over William Dunn. Marie Mayor won the democratic nomination in the senate 20th district with 65% of the vote. Joe Miro wins the GOP nomination for the 22nd house district. Paul Baumbach got 55 more votes than his nearest opponent Gerald Grant in the 23rd house seat democratic contest. Andria Bennett, the democrat, will face off against Ellis Parrot for the 32nd house seat. In the republican contest for the 39th house seat Daniel Short won 80% of the vote. 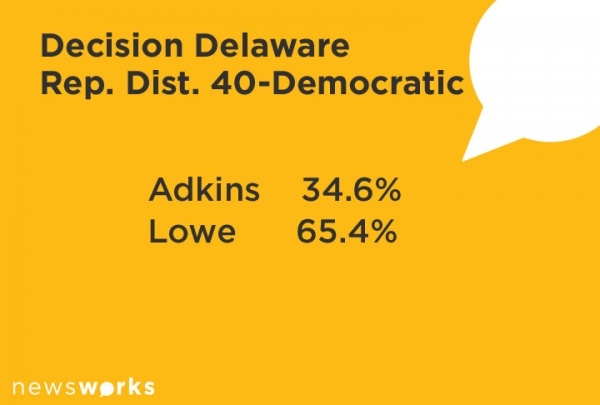 Benjamin Lowe beat Raymond Adkins as the democrat in the house 40th district race. Dennis P. Williams promises change and that he will go after violent offenders in his victor speech for the democratic nomination for Wilmington Mayor. He held his 10 point lead over Kevin Kelley in the 5 way race. The upsets of the night would have to start with Tom Gordon who 8 years ago left the New Castle County Executive’s office. He wins the democratic nomination with a 4,500 vote win over Paul Clark. Chris Bullock beat Renee Taschner for County Council President. Anthony DeLuca and Joe Booth are the other two incumbents who lost their races tonight. Tom Carper is going to face Kevin Wade, Alex Pires and Green party candidate Andrew Groff for the U.S. Senate. Tom Kovach handily beat Rose Izzo for the right to face John Carney, the incumbent Congressman in the U.S. House. Chris Bullock will win the democratic nomination for New Castle County council. He beats Renee Taschner by almost 4,000 votes. He’ll join Tom Gordon who wins the democratic nomination for County Council. Keith Spanarelli received over 6,000 votes. Tom Carper had about seven times that number in his primary win. Tom Kovach will face incumbent John Carnery for the lone Delaware U.S. House of Representatives vote. Karen Weldin Stewart will hold on by about 1,100 votes over her closest competitor, Mitch Crane. Other incumbents who won were Gary Simpson in the republican 18th district. Daniel Short won the republican 18th house district. Joe Booth lost his race by 2.000 votes to the man whom he beat by less than 100 votes 2 years ago. Bill Montgomery wishes Dennis Williams good luck as he concedes the mayor’s race. There will be new leadership in the legislature in Dover. Anthony DeLuca is headed toward defeat. 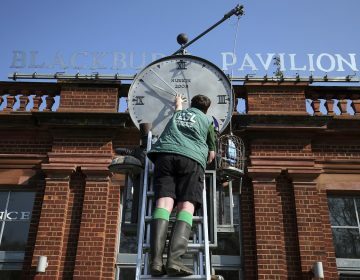 That along with Robert Gilligan’s retirement in the house means new changes. Harris McDowell is the winner in the District 1 senate race. All 52 districts are in at McDowell beat David Brady 52 to 36%. James Martin had 11%. Ernesto Lopez, the republican will face Andrew Stanton in the District 6 senate race. All 17 districts are reporting there. That means no general election for Glen Urquhart. Joe Booth has lost to Eric Bodenweiser in the state senate district 19 race. Six districts are left to report in the New Castle County race, but it looks as though Tom Gordon will win the democratic nomination in the New Castle County Executive race. One of the leaders of the state senate is losing his race tonight. Anthony DeLuca is losing by 200 votes with almost 75% of the vote in that district 11 contest. Another incumbent, Joe Booth is losing his state senate district 19 race. Eric Bodenweiser has a 53% to 47% vote lead. He almost beat Booth 2 years ago. Dennis Williams lead is now 10% at 38 to 28% lead over Kevin Kelley. Bill Montgomery is at 21%. Karen Weldin Stewart looks like she will survive her 4 way contest. She holds a 33 to 29% lead over Mitch Crane her nearest opponent. It looks as though Andria Bennett will get the democratic nomination for the District 32 state rep. seat held by her husband Brad Bennett. She has 60% of the vote. It’s likely she’ll face Ellis Parrot who has 74% of the republican vote. 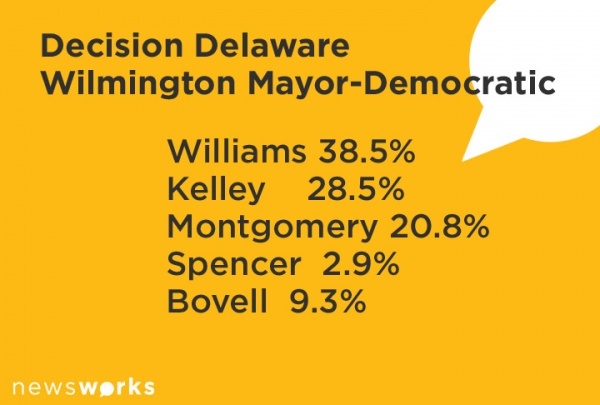 Dennis Williams has over 46% of the Wilmington democratic primary vote at this point in the evening. Robert Bovell has just over 10%. 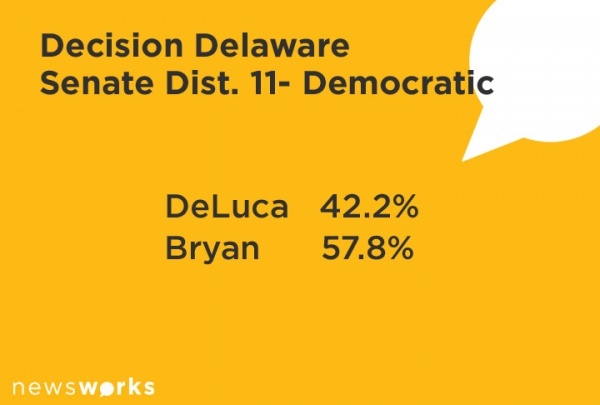 Bryan Townsend is winning so far over Anthony DeLuca at the democratic district 11 state senate race: 59% to 41%. The first numbers are in for Wilmington mayor. 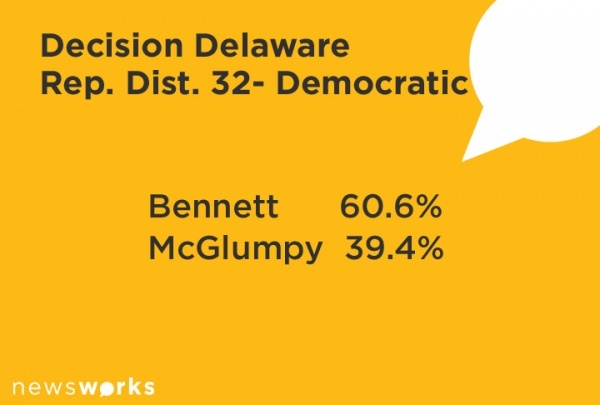 Dennis Williams has taken 42% to 29% for Kevin Kelley and 19% for Robert Montgomery. 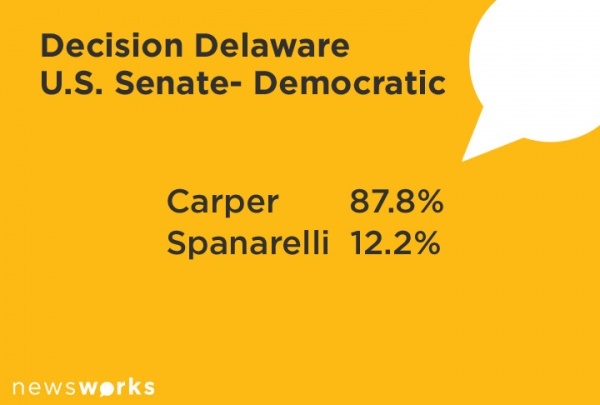 Senator Tom Carper has almost 13,000 votes to Keith Spanarelli’s 1,793. Karen Weldin Stewart has gone back to the top of the field with 32%. Mitch Crane has 29%. The first numbers show Sen. Tom Carper jumped to and 84 to 16% lead. In the republican contest for the U.S. House Tom Kovach holds a 65% to 35% lead. Mitch Crane has jumped to the early lead for Insurance Commissioner. Tom Gordon has a 45% to 30% lead over Paul Clark in a field of 4 candidates. The others are trailing in the teens. 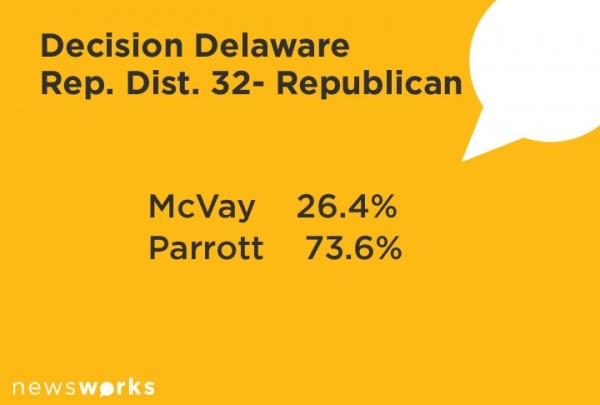 Months of candidate direct mail and robo-calls takes a pause as Delaware voters who registered either as a Democrat or a Republican set up the party races for the November ballot. Many eyes in New Castle County are focused on the contest for Mayor of Wilmington and New Castle County Executive. 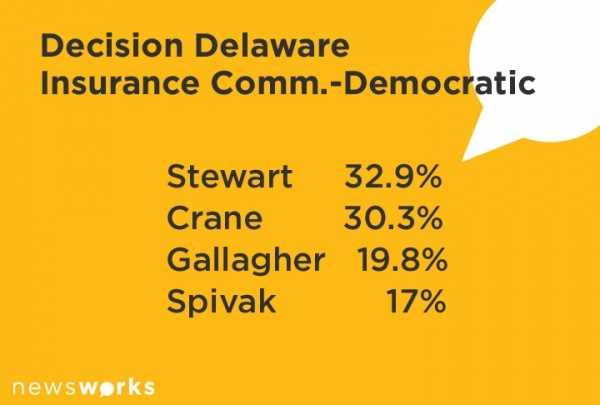 There are also state wide contest for the Democratic nomination for Insurance Commission. Senator Tom Carper has his first primary contest in 20 years as he is on the ballot against Smyrna resident, Keith Spanarelli. Bill Montgomery, the former chief of staff for out going Mayor James Baker voted early today at the Stubbs Elementary School in Wilmington. He said he was confident after a long summer of campaigning. His opponent Dennis P. Williams was equally as confident as he walked into the Harlan Elementary school in Wilmington. 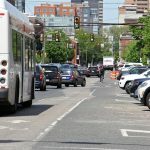 Scott Spencer spent the day campaigning around Wilmington. Kevin Kelley and Robert Bovall were lower key during the day in working with supporters. Kelley voted at the Pulaski school. Bovell voted at the Bayard Middle School. 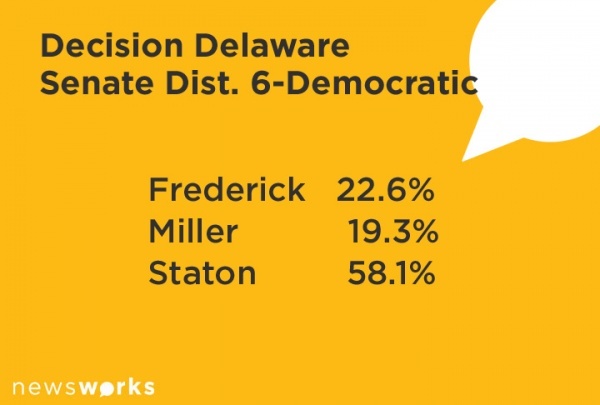 The winner of the primary contest will likely be the next mayor of Delaware’s largest city. Last week the only Republican in the race, Kevin Melloy was dropped by the state GOP from the ballot. 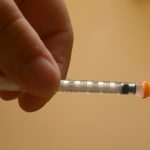 He cited a number of issues, including family members, and a dispute over fees needed to get on the ballot as reasons for dropping out of the November race. As late as Friday, Melloy said he was moving to Philadelphia to continue his art and real estate career. 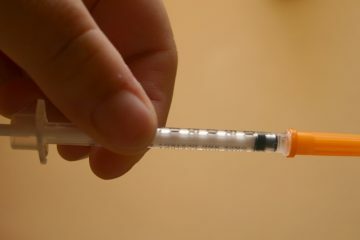 On Monday he announced he was going to be a write-in independent candidate. With redistricting now complete after the 2010 census many state legislative seats are facing primary contests. One of the largest battle is for the newly created 6th senatorial district where there are candidates facing each other from both parties. In the 32nd House of Representative District, Andria Bennett, wife of current State Rep. Brad Bennett is on the ballot facing William McGlumphy. 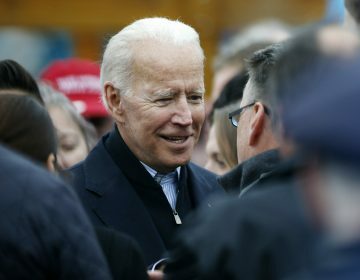 Bennett registered for the ballot after her husband said he was seeking treatment for alcoholism that became a public matter after several drunken driving arrests. All of this will set the final ballot that all registered voters will decide on November 6th. Newsworks will be reporting the results through the evening.